Ben and his Grandpa just love to watch whales together, standing on top of a cliff by the seaside. 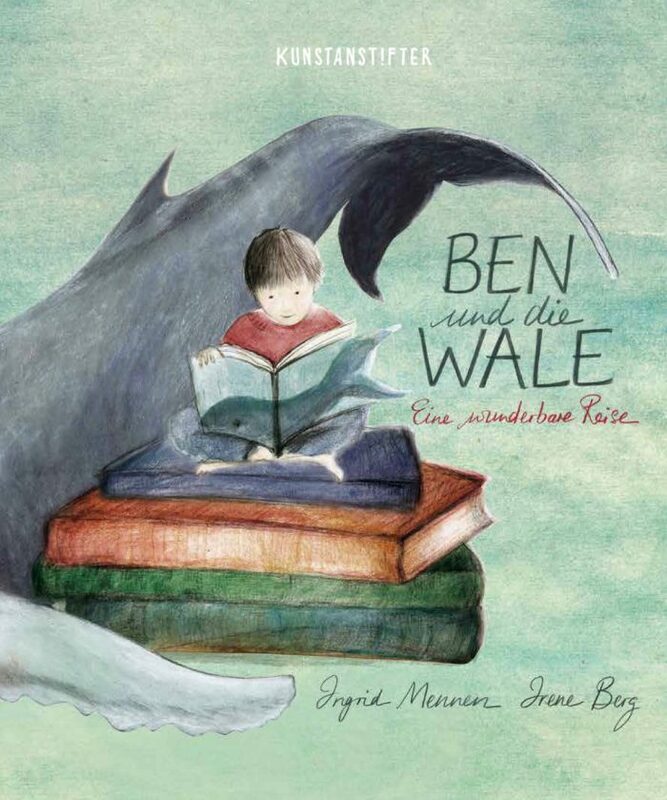 But one day the old man dies, and Ben has to learn how to cope with the loss. 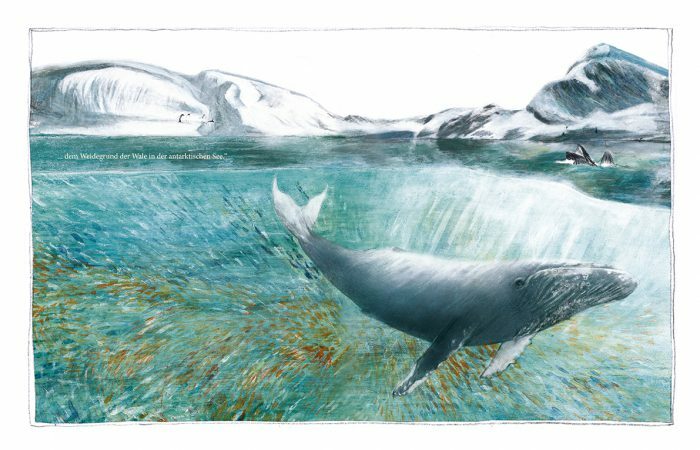 His father tells him the story of a whale calf and an old humpback whale, to make him aware that life is a journey, for us too – and sometimes you got to let go to be able to move on. 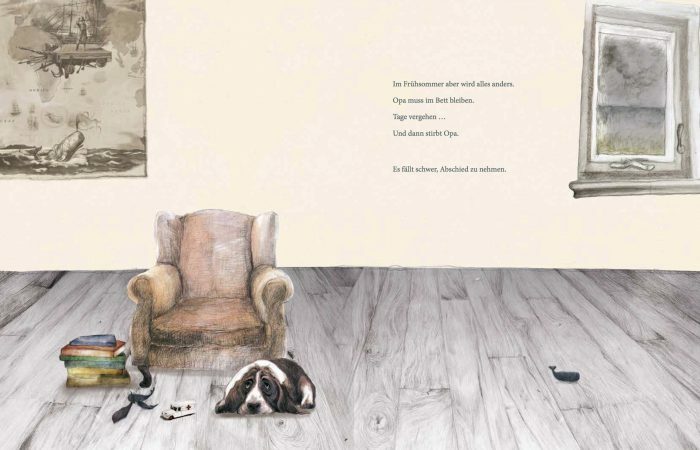 Irene Berg’s evocative illustrations are kept in subdued, subtle shades that underline the philosophy of this gentle tale. On the shortlist of HUCKEPACK 2017. 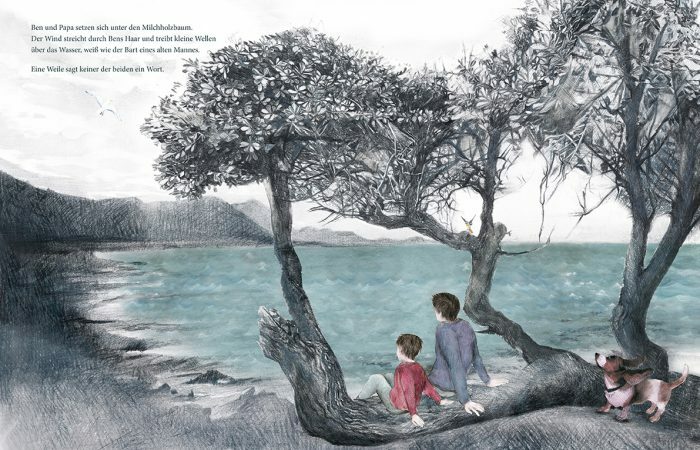 Translation front and back endpapers: Johanne Mayr.